What? Quartzfest© is an annual HAM Radio RV’ers Boondocking event which is held in late January every year with dates coinciding with the Quartzsite Arizona “RV Show”. Who Can Attend? ANYONE! If you don’t have your Amateur Radio Operators License yet, you’ll be able to take your Amateur Radio Operators License Exams at Quartzfest©Cost? FREE!!!! Our Annual Amateur Radio “get together” is called “Quartzfest©” and is open to ALL to attend. Quartzfest© is not a club, no officers, no budget and no dues..and is absolutely FREE!! During the week of Quartzfest©, RV’s are everywhere across the desert, as far as you can see..every make and model you can imagine! There are hundreds of groups that meet in Quartzsite every year in different parts of the desert who share like interests. Our group, Quartzfest©, started out in 1997 as just a few HAM RV’ersgetting together, camping in their RV’s in the middle of the desert..no power, no restrooms, no running water. Solar Panels and Generators are in use everywhere. If you want to see how well you’re prepared and how long you’ll be able to hold out in the event of an emergency or disaster, “Boondocking” in the desert for a week will show you. Quartzfest© is similar to a Hamfest but lasts an entire week and is packed full of scheduled Seminars and Activities. Talks range in topics from Genealogy and Crafts for Non-HAM’s to Solar Power and Battery Information, Technical information for the seasoned HAM, and introductory information for the new HAM. Also included in the week’s activities are VE Amateur Radio License Testing, Antenna Shoot Out, Antenna Walkabout (touring other HAM’s RV Antenna installations), Solar Walkabout, 4×4 Off Road Trip in the Desert, Prospecting, Campfires (some with musical entertainment), night time movies, Pot Luck dinner, Hootenanny and lot’s more! We Camp on BLM (Bureau of Land Management) land which is FREE, but you can only camp there for 14 days at a time. QuartzFest 2019, celebrating its 22nd anniversary, is an ARRL Specialty Convention being held January 20 to 26, 2019 near Quartzsite, Arizona in the United States. No other hamfest in the world brings together in one gathering so much innovation in mobile antenna systems, mobile ham shacks, recreational vehicles, portable and mobile EMCOMM systems, off-the-grid living, alternative energy and radio education. QuartzFest is special in part because it comes to life each year, rising from nothing in a remote area of the Sonoran desert in the southwestern USA. 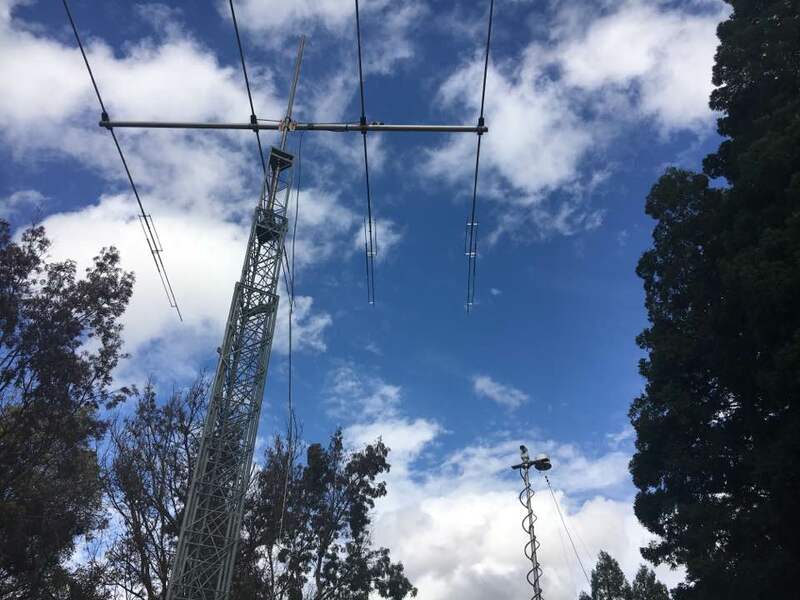 Hundreds of Hams and their families and friends choose to unplug from their daily lives, travel to and setup this desert community, and immerse themselves in this week-long one-of-a-kind ham radio, camping, learning and living event. 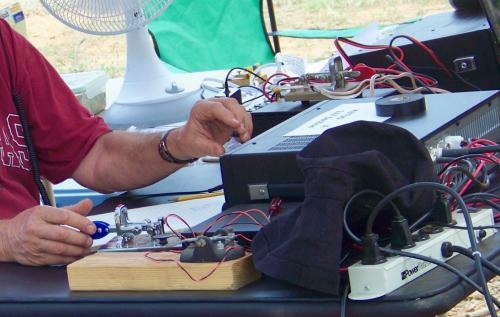 The educational classes at QuartzFest offer something for everyone including those new to ham radio or even the most seasoned veteran. They give participants the chance to put hands-on the latest technology, learn ham radio for the first time, study advanced radio theory and to even take a glimpse into the future of radio science. The learning also continues well-beyond the technical lectures all the way from morning coffee… through social events, music, arts and crafts classes during the day… and into the evening while sitting around the campfire or while star-gazing. After informally meeting for several years with various ham radio/RV friends, beginning in 1995 near Mile Marker 99 about six miles south of Quartzsite, Az, Harvey K5LJM, and Margie, AB5ZX, decided to officially host a ham gathering around the last week of January, 1997. They called it Quartzfest and put the word out and had nearly 60 RVs that were parked around the site in the Sonoran Desert. It had a great area to gather for a daily 4:00 social hour every day and also to have a nightly campfire. The last of January was selected to coincide with the RV Sports and Vacation Show and the Gem and Mineral Show. They made it a week long event with seminars, a ladies coffee, beef stew dinner and different activities that were of interest to the group. 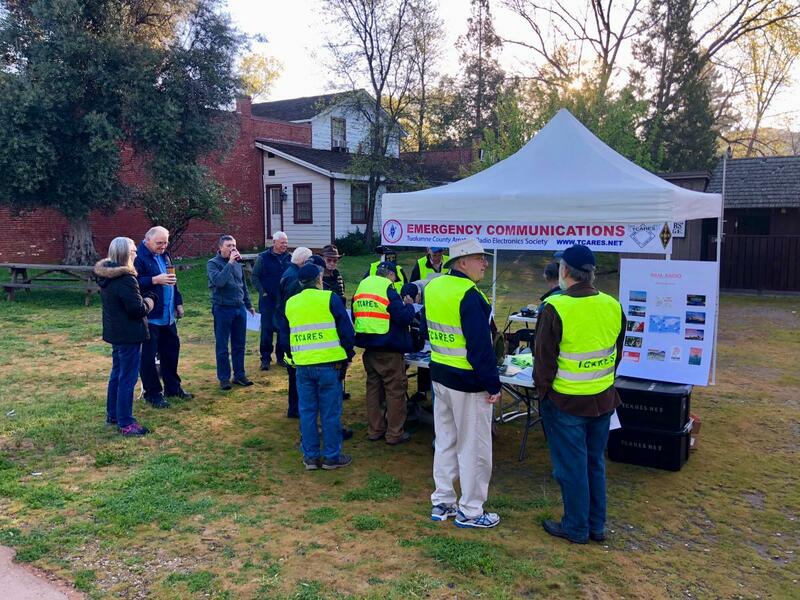 It included volunteers to hold ham radio exams, donut runs into the local bakery, firewood gatherers, and whatever else that added to the group’s enjoyment. Harvey and Margie hosted Quartzfest through 2001 then turned it over to Bob, WA7HRA, and Anne Hart for 2002 and 2003 and then Harvey and Margie were hosts once again for the 2004 gathering – their last time. Harvey became ill with cancer in late 2004 so we turned to Cap Latimer, WB6ZDF, and Tom Hensley, KD7ALH, for help and they kindly filled in for us in 2005. Harvey passed away in February of 2005 but Quartzfest lived on with Tom, KD7ALH, and Sue, KD7AMA, Hensley hosting it in 2006 and 2007. Cliff, KD4ZBP and Virginia, KE4VRW, Haycock hosted Quartzfest 2008, 2009 and 2010. Now the torch has been passed on to Steve, K04QT, and Linda, KI6JUD, Weed. After the January 2015 gathering the coordination was turned over to new organizers Dave, K1AN and Heather, W8GEM with a newly established QuartzFest Planning Committee that also includes Gordo (WB6NOA), Kris (KR1SS), Marilynne (W6MCJ), Neil (W6FOG), Russ (KB6YAF) and Tracy (WA6ERA). Harvey always liked to call the gathering just a simple little campout in the desert with good friends sharing a common interest with ham radio and RVs. He thought it very important to have new people attend every year along with the regulars because you need fresh ideas and thinking to keep an event like this going and we tried our best to make everyone feel welcome. Since then Quartzfest has grown to include hundreds of ham radio enthuasists and their families. Margie Tetmeyer has continually expressed, on behalf of Harvery and herself, how grateful and thankful they are to everyone that has attended and participated in QuartzFest and welcomes the many new friends that will attend this “simple little campout” in the future. 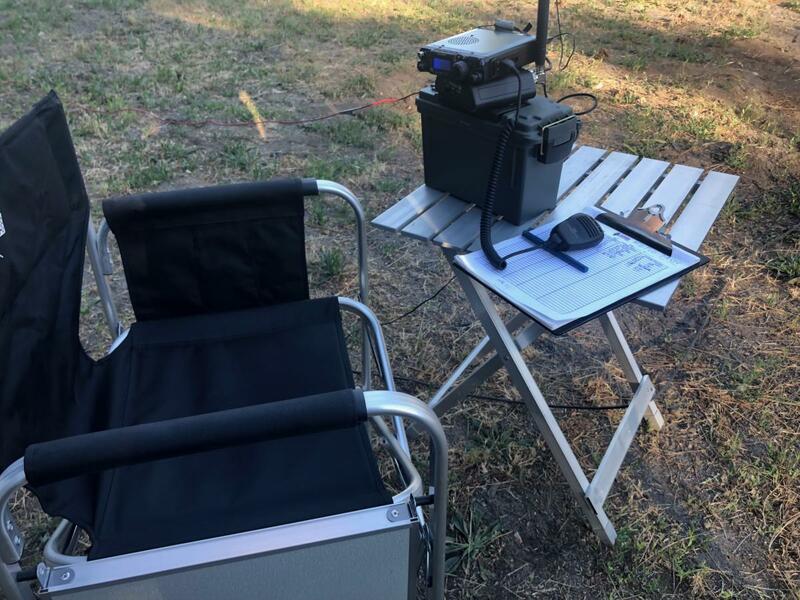 The educational classes at QuartzFest offer something for everyone including those new to ham radio or even the most seasoned veteran. 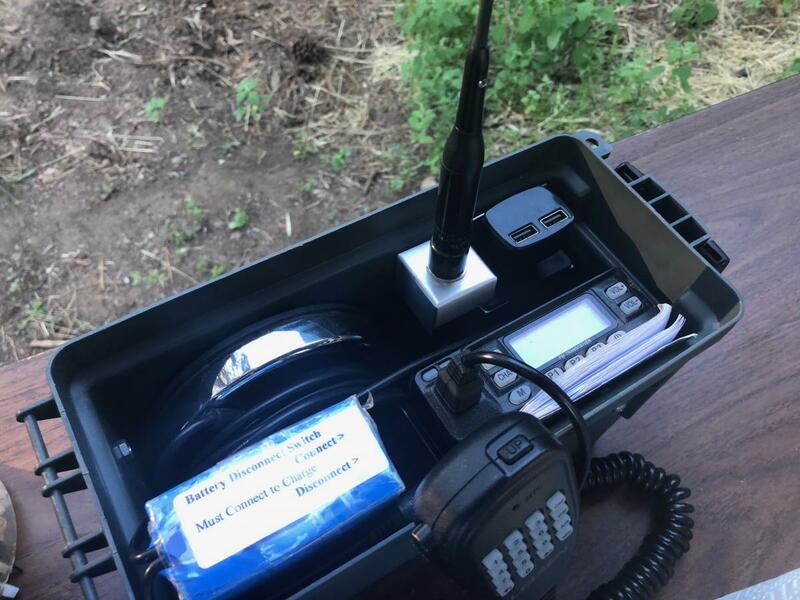 They give participants the chance to put hands-on the latest technology, learn ham radio for the first time, study advanced radio theory and to even take a glimpse into the future of radio science. QuartzFest is a camping event but is surrounded by many natural wonders and international events occuring at the same time. Below are just a few of the unique regional attractions in the area during QuartzFest..